Watch out for somebody’s body language this week Aries, because it could reveal a great deal. This person may not exactly articulate how they feel about the situation, but certainly can drop a strong hint – if you watch for the signs. There may be times this week when you also would appreciate greater peace and tranquillity. If you find yourself thinking more deeply, this is all part of this. 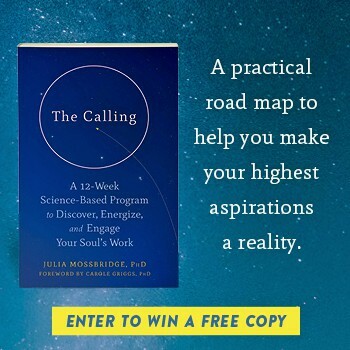 There has been a lot of emphasis around your ambitions and goals in the last four weeks, but now the focus switches to your social situation which can absolutely flourish. If you do get together with one special friend, the conjunction between your ruler Venus and Neptune can be a fabulous opportunity for you to catch up, or to even be nostalgic about yester years between you. Your imagination can be particularly vivid this week, and especially as far as your career or worldly interactions are concerned. If you’re someone who does work with people in any kind of role which involves great sensitivity or caring, you really could flourish. But with Mars in a strident right angle, someone in a position of seniority may feel that you’re being somewhat unrealistic. We all have everyday obligations and responsibilities that we need to attend to, some of these are to ourselves just in terms of how we eat, exercise and plan our schedules. But this can be a week when you find yourself tempted to break out and be more free-spirited. Mind, if you can keep the strident discipline going, one alliance will seem to go from strength to strength. In a romantic situation, you may find yourself having quite heightened expectations. Whilst it is good to dream, it is also good to be realistic. Speaking of which, with first Mercury and secondly the Sun angling well to the strict energies of Saturn, if you really put your mind to something, there is every chance that you can make some really solid and tangible progress forwards Leo. Your relationship sector really lights up spectacularly now. If you’re single and don’t see any immediate prospect of this changing, just in subtle ways your interactions with others can improve. It’s an opportunity to become more mindful of how you’re perceived as well as what you expect. But if you are lucky enough to connect with someone, it could prove quite magical. There can be quite a lot of nervous energy buzzing around you this week Libra, but what you do have you probably will need to use astutely. Spreading yourself too thinly can actually leave you feeling quite exhausted. Give yourself some opportunity to do some gentle things for yourself. For example, treating yourself to a spa day could prove to be enormously therapeutic. Do something that is totally and utterly uplifting this week. Quite a beautiful link between Venus and Neptune can give you such a heightened appreciation of the arts, drama, performance, music and shows, and it would be a fine time to embrace these. Then again, if you’re a creative person yourself, this is a week when you can really start to flourish. Watch rash expenditure however. Mars in Sagittarius is continuing to give you a lot of extra vim, but it is squaring up with planets in the sign of Pisces this week. It is going to be important to make sure that what you’re trying to achieve as an individual, is actually good for you at a more emotional level. Domestic finances and budgeting can though benefit from very precise, detailed management. In your Solar Horoscope Saturn in your sign links well with both Mercury and also the Sun this week. Your thinking can be constructive, solid and well worked out. In fact, all the things that are associated with your zodiac sign. The difference here is that you can share what you’re doing with others in a very effective way. But don’t let this pulverise your imagination, which can also sparkle brightly given a chance. The Sun moves into the next sign to yours of Pisces. Here he joins Mercury, Venus and Neptune. It’s an opportunity for you to grapple with everyday matters, and to lay down a firmer foundation to any recent plans or projects you’ve been working on. There is a good chance you can also benefit from some kind of financial good news. However, your values and a those of another, may not mesh. The great news about this week is that your physical vitality is set to improve. Just generally you can feel more robust in the face of life’s everyday challenges. Your mind is moving up a gear, and any plans that have been percolating in the back of it, can start to work out in the here and now. Generally, you can feel revitalised. However, a power battle could play out with someone at work.